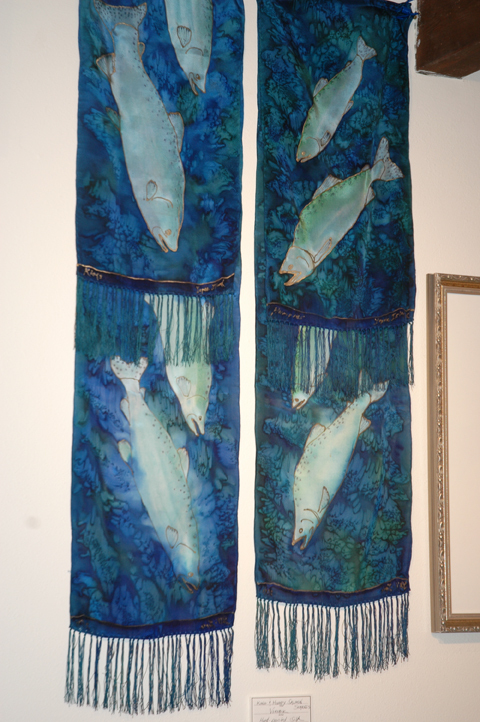 Linda has been creating hand painted silk scarves and wall hangings in addition to her botanical art. Because each is an original creation, the price is more than for imported items, and you need to contact Linda if you are interested in their purchase. 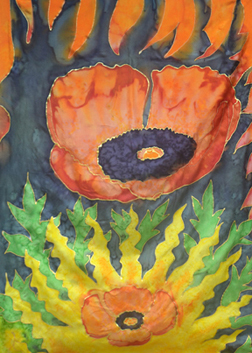 Also check Linda's "Vorobik Botanical Art" page on Facebook for new creations. 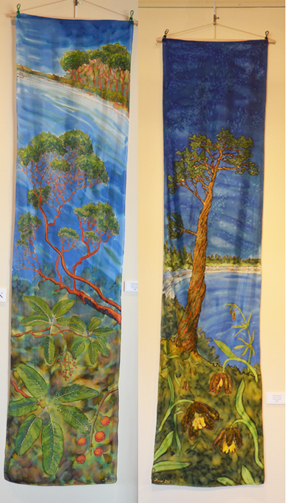 Madrona, Arbutus menziesii, ~2 ft by 8 ft, hand painted silk, $1200, showing at The Art Annex, Eugene.